Toronto-based Blue Ant Media Inc., the privately held television and media distributor, is partnering with BBC Worldwide North America to launch the British public broadcaster’s factual channel BBC Earth in Canada next month. Beginning January 24, 2017, BBC Earth will begin a free trial in some five million Canadian homes and will replace Blue Ant’s factual adventure-focused category B specialty channel radX. The high-definition BBC Earth will run free of commercial interruption in Canada, though Khanna said Blue Ant and BBC Worldwide will offer potential sponsors “non-intrusive” opportunities to promote through the channel. 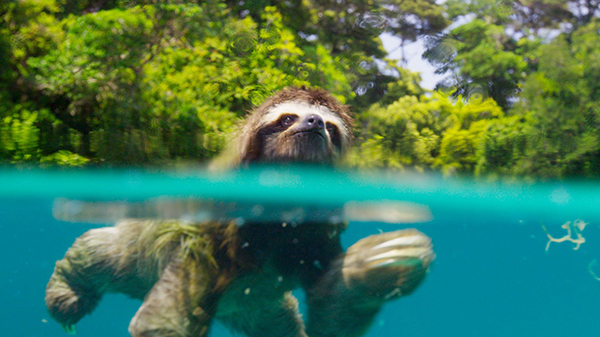 The network will play home in Canada to the BBC’s natural history content, including the wildly popular Planet Earth. The David Attenborough-narrated second series of the show, which has routinely drawn around 10 million viewers in the U.K., recently shot into the viral stratosphere with a high definition chronicle of a young marine iguana escaping near-certain death at the hands of a murderous gang of Galápagos racer snakes. Sarnoff said that, of the BBC’s properties, its natural history programming is the top performing in its category in Canadian DVD and blu-ray sales. The new channel is the latest in a series of recent moves by Britain’s public broadcaster to ramp up its presence in Canada, including the launch of a four-person news bureau in Toronto to manage a domestic version of its flagship website. The company already has two television networks licensed in the market in BBC Canada and BBC Kids. BBC Worldwide North America is a subsidiary of BBC Worldwide Ltd, which brought in a £133.8m profit for the public broadcaster in the 2015-2016 fiscal year, down 3.5 per cent year over year. Blue Ant’s partnership with a BBC property is a familiar move for founder Michael MacMillan. His former company Alliance Atlantis obtained the original broadcasting license for BBC Canada when the network first launched in 2001. Alliance was purchased by now-defunct Canwest Global Communications Corp. and U.S. banking giant Goldman Sachs for $2.3 billion in 2007. BBC Canada is now majority owned by Corus Entertainment Inc., the Shaw-family owned entertainment company which was spun off from another family-controlled company, Shaw Communications Inc., in 1999. Earlier this year, Shaw sold its entire media division to Corus for $2.65 billion. Meanwhile, Blue Ant will close radX on the same day BBC Earth debuts. Originally launched by High Fidelity HDTV as Rush HD in 2006, it was renamed a year after its American counterpart was shut down in 2009. In 2012, radX was purchased by Blue Ant along with High Fidelity’s three other channels — the Smithsonian Channel, Love Nature and HIFI — and High Fidelity ceased operations shortly thereafter. According to the CRTC, radX earned $4.5 million in revenue in 2015, for a growth of 6.85 per cent year over year. In addition to its other High Fidelity acquisitions, Blue Ant owns music network Aux, travel network T+E and several other streaming video services, television networks, websites and magazines in Canada and New Zealand. It also runs a content distribution business, Blue Ant International. Among those with equity in the company, Blue Ant counts Fairfax Financial Holdings Ltd., as well as Canada’s second largest newspaper publisher Torstar.